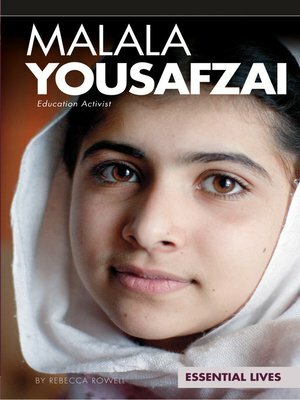 This biography examines the remarkable life of Malala Yousafzai using easy-to-read, compelling text. Through striking black-and-white images and rich color photographs, readers will learn about Malala's family background, education, work as an education activist. Readers will also learn about the Islam religion and the Taliban. Informative sidebars enhance and support the text. Features include a table of contents, timeline, facts page, glossary, bibliography, and an index. Aligned to Common Core Standards and correlated to state standards. Essential Library is an imprint of ABDO Publishing Company.